Grind your way to a National Championship! 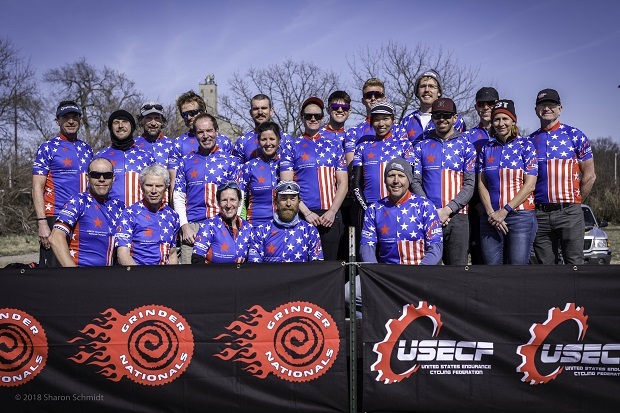 The United States Endurance Cycling Federation is proud to present the USECF Gravel Grinder National Championship. Racers do not need to qualify and any rider 16 years of age or older may register for the USECF Grinder Nationals. Racers will push the boundaries of human endurance and winning will require extreme willpower, skillful riding and possibly a little luck. When the dust settles the winning riders in each category will be crowned as USECF Gravel Grinder National Champions and presented with USECF National Championship Jerseys. It&apos;s time for some gravel riding and Lawrence, Kansas is the place! There is a category for everyone from high school to those who are a little longer in the tooth and all who register for the USECF Grinder Nationals will race for a coveted USECF National Champion Jersey! See what you are made of as you race across a 100+ mile challenging & scenic course as part of the USECF National Championship Weekend. There will also be a 50 mile noncompetitive Gravelleurs Raid that will race at the same time as Grinder Nationals. The USECF Gravel Grinder National Championship is a fully supported race and riders will enjoy fully stocked rest stops and sag wagons/ rider pick up available throughout the course. 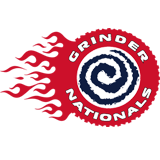 Come ride in Grinder Nationals which will include an epic course, great food and a fun & festive award ceremony. The awesome course and time in the saddle with the gravel tribe will make this an epic event to remember. The Gravelleurs Raid is a 50 mile non championship ride that will happen at the same time along part of the same course as Grinder Nationals. This is the perfect first gravel ride or ride for those who do not want to ride a 100 mile course. 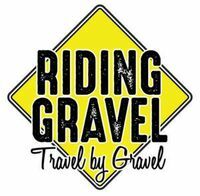 The Gravelleur&apos;s Raid is a fully supported race and riders will enjoy fully stocked rest stops and sag wagons/ rider pick up available throughout the course. There will not be any awards for the Gravelleurs Raid but the riders will enjoy a fun course, great food and a fun & festive award ceremony. Riders from Gravelleurs Raid will also be entered into the awesome raffle at the Grinder Nationals award ceremony. We recommend that you use the Cue Sheet linked above. If you have any questions regarding the downloads, please email Matt - Course Director. Trail Blazers will receive a T-shirt. All participants will receive a Limited Edition USECF Gravel Grinders National Championship Poster, a Custom Number Plate, a slice of pizza from Johnny&apos;s Tavern, an iced cold Sierra Nevada & some great raffle items presented at the awards ceremony. USECF Gravel Grinder National Champion Jerseys will be presented to the winning riders in all categories. Awards will be presented for 1st through 3rd place riders in all categories of the USECF Gravel Grinder National Championship. There will also be some great raffle items presented at the awards ceremony. We will be giving away tons of amazing prizes that have been donated by our sponsors at the awards ceremony. All riders will be entered into the raffle and riders must be present to win. The following items are required: Bike, CPSC certified helmet, red flashing tail light, cycling computer or GPS unit, water & food. We do recommend Garmin Edge cycling computer for the event. 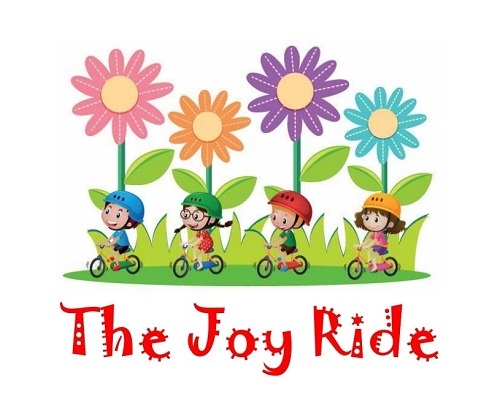 The Joy Ride is a free fun family bike ride which will include a bike helmet give away while supplies last. This event will encourage local families to get involved in the fun and healthy activity of bike riding while stressing the importance of safety. The ride will be led by the Lawrence Bike Club and the helmet fitting will be done by the Lawrence Central Rotary Club. There will be distances for every level of rider from Kindergarten to adult. After the ride we will have some fun activities like a fire truck, bounce house and craft project. Volunteers are a key ingredient in the USECF Gravel Grinder National Championship. If you have friends or family who would like to volunteer they will receive a T-shirt, a Limited Edition USECF Gravel Grinders National Championship Poster and our eternal gratitude.